Today I had the pleasure of fishing with Mr Frank , Mr Mike and Mr Charles from Mississippi who wanted to catch some big reds . So I took them to where the big boys roam and man did we have a good time catching bull reds from 23LB to 28 LBs in 30′ of water with half a blue crab. Thanks again fellas for the good time on the water . I look forward to having yall back out fishing again soon. 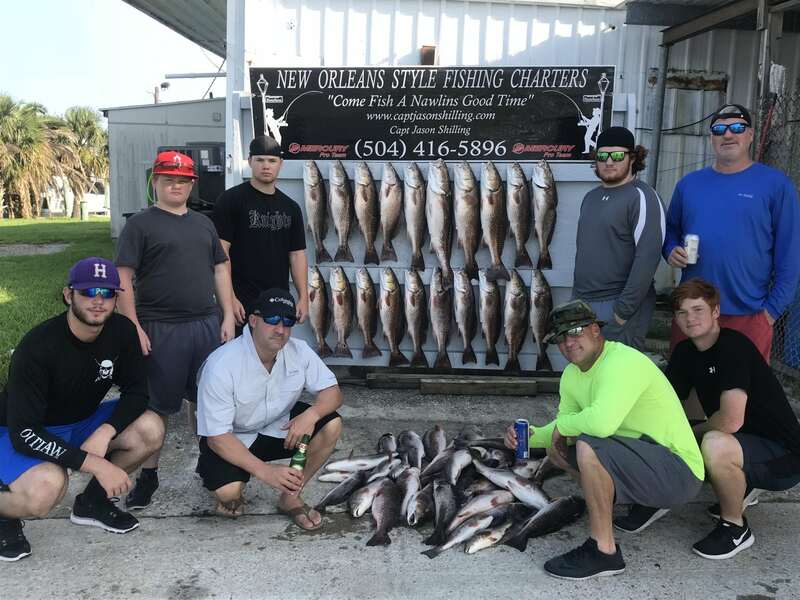 If you’d like to “COME FISH A NAWLINS GOOD TIME” Give me a call and lets schedule your fishing trip that you wont soon forget with New Orleans Style Fishing Charters and Capt Jason Shilling. Please feel free to contact me with any questions as well . I look forward to hearing from y’all . Im back out on the water tomorrow and will be posting a report on our day out.